Deluxe CD/Blu-Ray Edition of Michael Jackson's revolutionary 1979 recording Off The Wall includes the original album bundled with the new documentary Michael Jackson’s Journey from Motown to Off the Wall, directed by Spike Lee. The deluxe softpak includes a 16-page booklet containing a new essay and photography plus a piece of chalk and inside panels with a chalkboard finish. 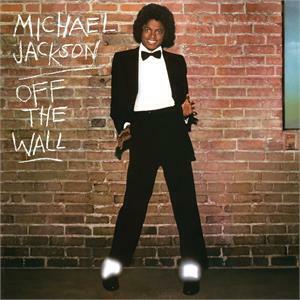 The importance of Michael Jackson's Off the Wall cannot be overstated. Recorded when he was just 20-years-old, the album heralded Michael's emancipation as a singular musical force and creative visionary. It's the record that "invented modern pop as we know it" according to Rolling Stone magazine. It smashed the ceiling on record sales for black artists, ushering in an exciting new era of R&B-to-pop crossover airplay, chart, marketing and sales trends not seen before in modern pop music. For Michael Jackson's Journey from Motown to Off the Wall, director Spike Lee assembles a wealth of archival footage, including material from Michael's personal archive, interviews with contemporary talents and family members, and Michael’s own words and image to create this insightful chronicle from the star's early rise to fame through the release of this seminal album. A look at a chapter of his career that is rarely examined, Michael Jackson's Journey from Motown to Off the Wall allows audiences to travel with Michael as he gets his start at Motown, strikes a new path with CBS Records, and forges a relationship with legendary producer Quincy Jones. An illuminated portrait emerges of how an earnest, passionate, hard-working boy would become the "King of Pop."